Winter is a time of hibernation – it’s cold and dark outside – but many people still find it difficult to get to sleep. So what changes can we make to our lifestyle to help us have a more relaxing evening? Clinical Nutritionist, Suzie Sawyer, provides her five top tips on how to get a great night’s sleep. How many times do we hear people say “I’m having trouble sleeping?” Poor sleep can lead to mood disruption, fatigue and depleted immunity, as well as the outward physical signs that a lack of sleep can show, such as dark circles under the eyes. What you eat and when can have a profound effect on how well you will sleep. For example, eating too late in the evening and then going to bed on a full stomach can lead to a disrupted night as the digestive system has to work hard to process what we eat. It takes about two hours after eating a meal for the body to enter the ‘post-absorptive’ phase of digestion. During this time, the body’s organs are all needed for the digestive process to happen effectively, therefore the whole body cannot rest. Certain foods can also help to produce the brain neurotransmitter serotonin which is needed to make melatonin, our sleep hormone. Foods that are high in the amino acid, tryptophan, which makes serotonin include: turkey, chicken, eggs, beans, lentils fish, soya, oats and milk. Try to plan these into your evening meal. 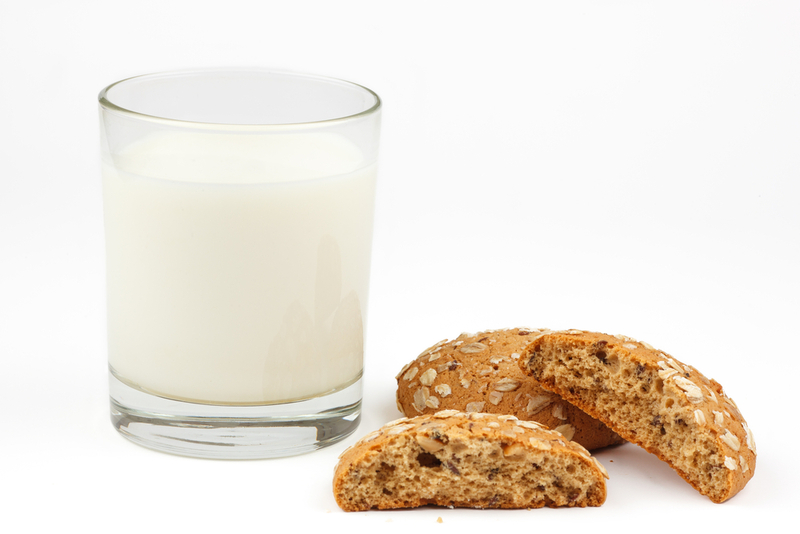 Additionally, a couple of oatcakes and a small glass of slightly warmed milk is a great post-bed snack, to be eaten an hour before bedtime – this can really help to increase serotonin in the bloodstream just before you hit the hay. Drinking any caffeinated drinks just before bedtime can of course disrupt sleep. Some people find they benefit from not having any caffeinated drinks after lunch time. 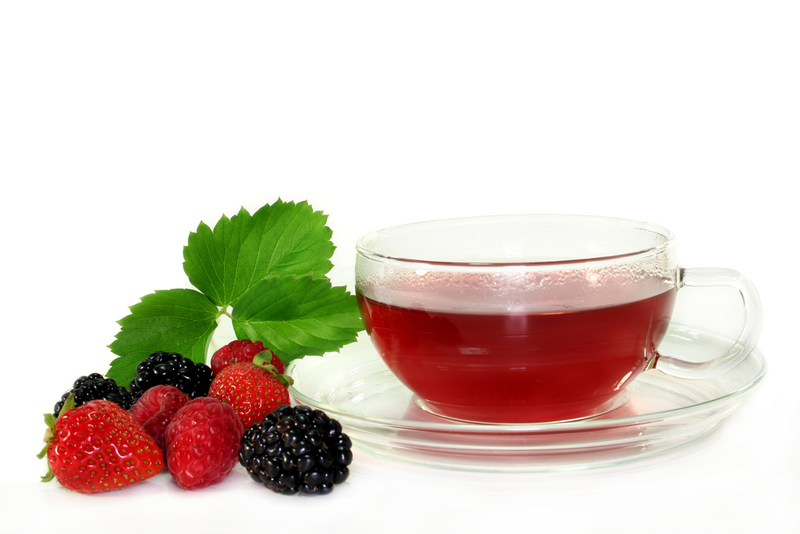 Instead, why not try drinking herbal or fruit teas; green tea contains the amino acid theanine which stimulates a brain neurotransmitter called GABA, which induces a calming effect on the body. Theanine is also available as a food supplement, which many people find helps them sleep when taken a couple of hours before bedtime. And whilst alcohol may have a sedating effect initially, people often find themselves awake very early in the morning after a ‘night-on-the-town’ and are then unable to go back to sleep – so try to limit your over-indulgences. It is well researched that the beautiful lavender flower offers help to many finding it difficult to sleep. Indeed, one of many clinical research studies concluded that lavender oil was effective in helping anxiety disorder, and therefore enabled better sleep patterns. Lavender oil spray is readily available in health food stores and can be sprayed liberally on your pillow before bedtime. Equally, it can be sprayed onto your wrists and inhaled. Additionally, the herb Valerian, contains many proven benefits for aiding sleep, so together Valerian can help you fall asleep and then the relaxing nature of lavender oil can help you to stay asleep. You normally need to take valerian consistently for a couple of weeks before you feel the benefit, but it’s certainly worth perseverance. We live in an electronic age but as much as we need high-tech communications in the modern world, the body equally needs some rest and relaxation and time away from electronics and screens. You may think that watching TV before bed-time is relaxing, but it actually stimulates your brain. Doing emails or keeping up-to-date with your social media activity will also keep your brain revving! The brain needs quiet ‘wind-down’ time – it’s almost like going back to the bed-time routine of a baby. 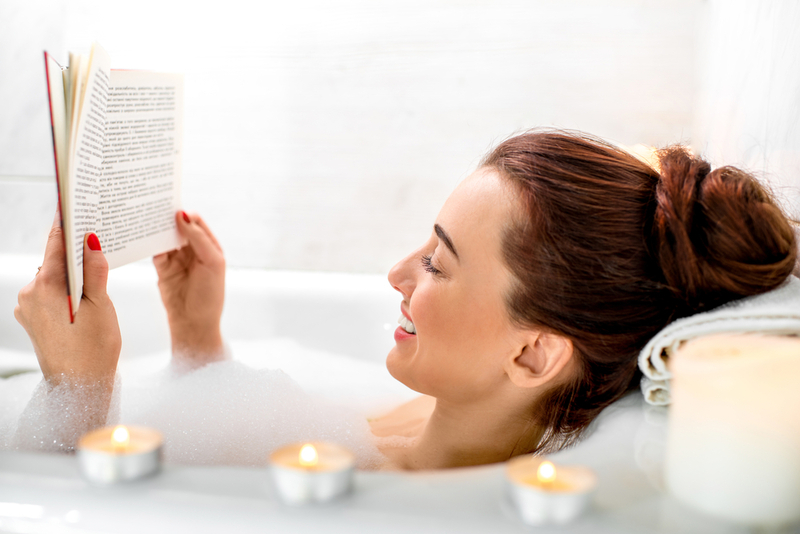 Have a warm, relaxing bath with some Epsom salts which provide magnesium, a natural muscle relaxant, followed by a small bedtime snack and then catch up on some enjoyable reading material. And make sure you turn off all your electronic devices before you go to bed to avoid midnight Facebooking! CAN’T SLEEP? FOLLOW YOUR NOSE! So you’ve managed to fall asleep only to wake up two hours later for no apparent reason – then the brain springs into action! Firstly, write down your ‘to-do’ list for tomorrow, plus any particular worries you have. Hopefully, you won’t then be making those imaginary ‘to-do’ lists for the rest of the night. If you are really having trouble in falling back to sleep, trying deep breathing whilst just concentrating on the end of your nose. This may sound strange, but by really concentrating on the end of your nose, you will not be able to think of anything else, and you should gradually drift off back to sleep. This does take a little practice; however, be persistent and make yourself continue to concentrate – you’ll find those lovely slumbers will happen. 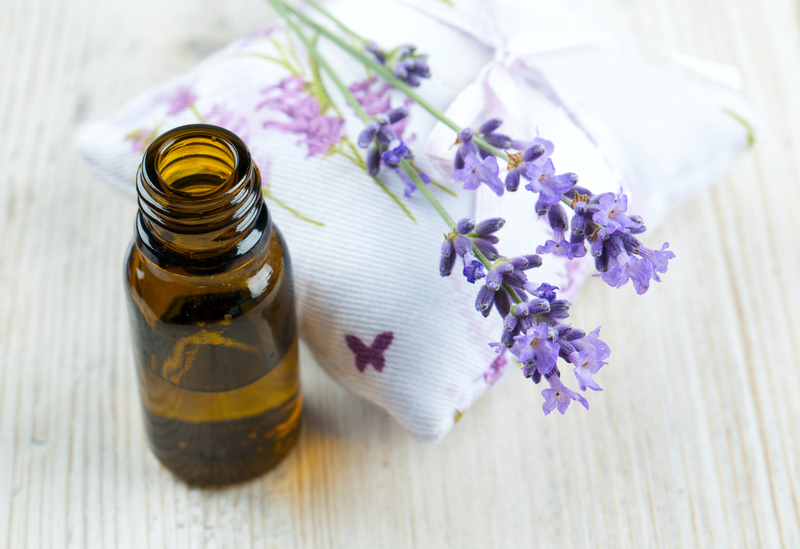 Effectiveness of a Lavender Oil Preparation in Treating Anxiety Disorder.